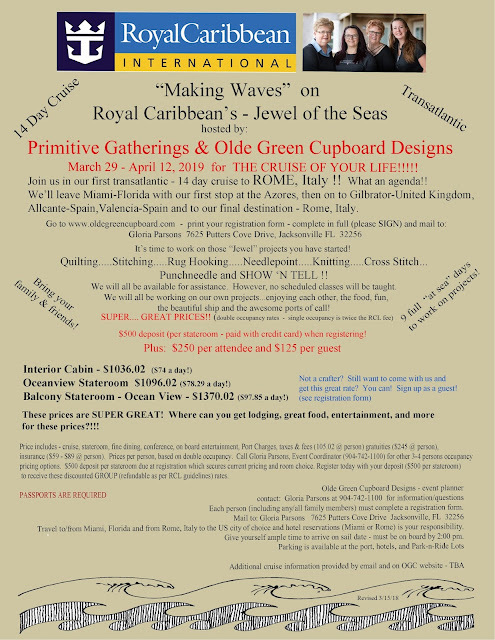 Olde Green Cupboard Designs: We're off to ROME!!!! Oh yes..... we are on another adventure and you are all invited!!! Here is the flyer to give you all the information you need to get started registering for the cruise. 14 days - we leave from Miami and end in Rome!!! Great daily rates.... $74 to $98 @ day! You do NOT have to be a quilter/crafter... this great rate is for guests too! This cruise will fill up fast!! DO NOT DELAY!!! Click on the registration form LINK below to download, print, read, fill out, and send in your registration payments to lock in your spots for the cruise.